Air power is an indispensable aspect in any nation's security apparatus. Countries like India are today aggressively pushing forward with plans to build a robust air force, arming themselves with tech-loaded aircraft. 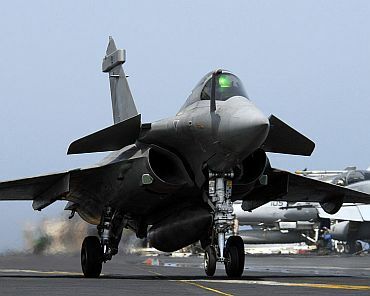 Let's take a look at some of the best fighter aircraft around the world today. 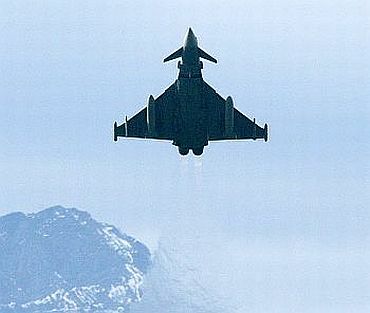 Armament: The Eurofighter carries NATO's best weapons. It has a high load Capacity with flexible missile configurations. It has thirteen carriage points, three of which are capable of holding external fuel tanks. The maximum fuel or weapons payload is 6,500 kg (14,330 lb.). A mixture of at least 10 ASRAAMs (advanced short range air-to-air missiles) and AMRAAM (advanced medium range air-to-air missiles) can be carried with four of the AMRAAMs housed in low drag, low observability fuselage stations. A wide variety of air-to-surface weapons can be carried on seven stations, including avionics stores such as laser designators. The F/A-18 Hornet is a supersonic, all-weather carrier-capable multirole fighter jet, designed to dogfight and attack ground targets (F/A for Fighter/Attack). Mission and Capabilities: The F/A-18 Hornet can perform both air-to-air and air-to-ground missions. Cockpit displays and mission avionics are thoroughly integrated to enhance crew situational awareness and mission capability in high threat, adverse weather/night environments. Cockpits are night vision goggle compatible. Multi-sensor Integration and advanced data link capabilities further enhance situational awareness. 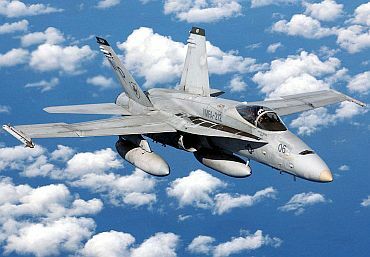 Armament: F/A-18C/D can carry up to 13,700 pounds of external ordnance. 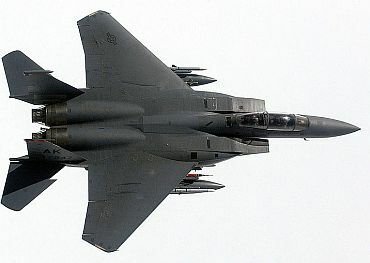 Weapon stations include two wingtip stations for Sidewinders, two outboard wing stations for air-to-air or air-to-ground weapons, two inboard wing stations for fuel tanks, air-to-air, or air-to-ground weapons, two nacelle fuselage stations for AMRAAMs, Sparrows, or sensor pods; and one centreline station for fuel or air-to-ground weapons. The Saab JAS 39 Gripen is a light-weight single engine multirole fighter aircraft manufactured by the Swedish aerospace company Saab. The aircraft is in service with the Swedish Air Force, the Czech Air Force, the Hungarian Air Force and the South African Air Force, and has been ordered by the Royal Thai Air Force. Engine: The RM12engine, supplied by Volvo Aero, is a development of the GE F404 engine from General Electric. A digital engine control system automatically monitors the engine parameters and automatically switches on the back-up systems if required. A condition monitoring system registers the flight data. 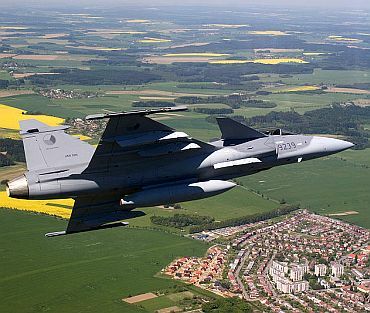 Armament: The Gripen has seven external hardpoints for carrying payloads -- one at each wingtip, two under each wing and one on the fuselage centreline. 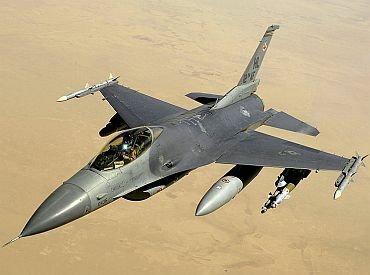 The Sidewinder, mounted on the wingtips, is an all-aspect attack, short-range missile for enhanced dogfight capability. Air-to-surface missiles include the radar-guided Saab RBS15F anti-ship missile and Raytheon Maverick missile. The internally mounted 27mm Mauser high-energy gun can operate in an automatic radar-guided aiming mode. The stand-off dispenser is the DWF39 from EADS (formerly DaimlerChrysler Aerospace) and Bofors. 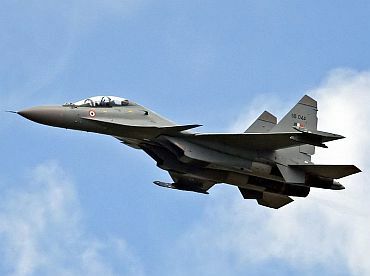 The Sukhoi Su-30MKI is a variant of the Sukhoi Su-30 jointly-developed by Russia's Sukhoi Corporation and India's Hindustan Aeronautics Limited for the Indian Air Force. 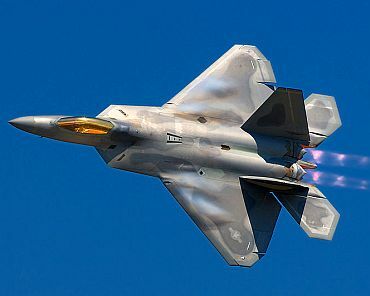 It is a heavy class, long-range air superiority fighter which can also act as a multirole, strike fighter aircraft. Armament: Main gun is 30 mm caliber. The combat load is mounted on 12 stations. The maximum advertised combat load is 8000 kg. Over 70 versions of guided and unguided weapon stores, including air-to-air and air-to-surface missiles, may be employed which allows the aircraft to fly the most diverse tactical missions. The F-15 Eagle is an all-weather, extremely maneuverable, tactical fighter designed to gain and maintain air superiority in aerial combat. 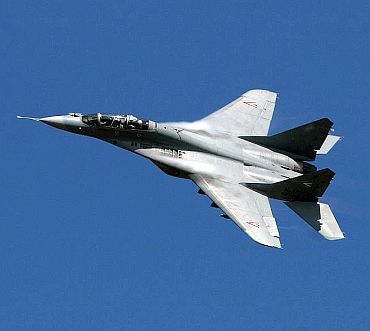 The MiG-29 Fulcrum is Russia's most important tactical fighter. Developed in the 1970s by the Mikoyan design bureau, it entered service with the Soviet Air Force in 1983, and remains in use by the Russian Air Force as well as in many other nations, including India. Unit Cost: $29 million (about Rs 130.5 crore). 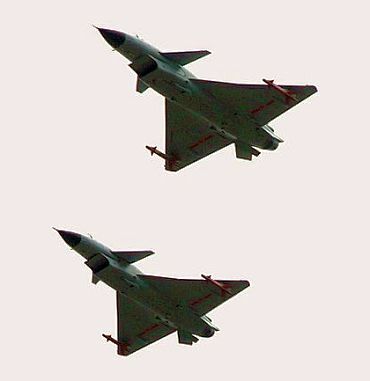 The J-10 is a fourth-generation multi-role fighter, produced by the Chengdu Aircraft Industry Co. (CAC). The secretive Chinese programme started in the late 1980s, and is reportedly based on the Israeli Lavi fighter, Israels attempt to develop its own F-16. Will IAF fly this Super Viper fighter aircraft?